It's the last stop for the Iron Horse! 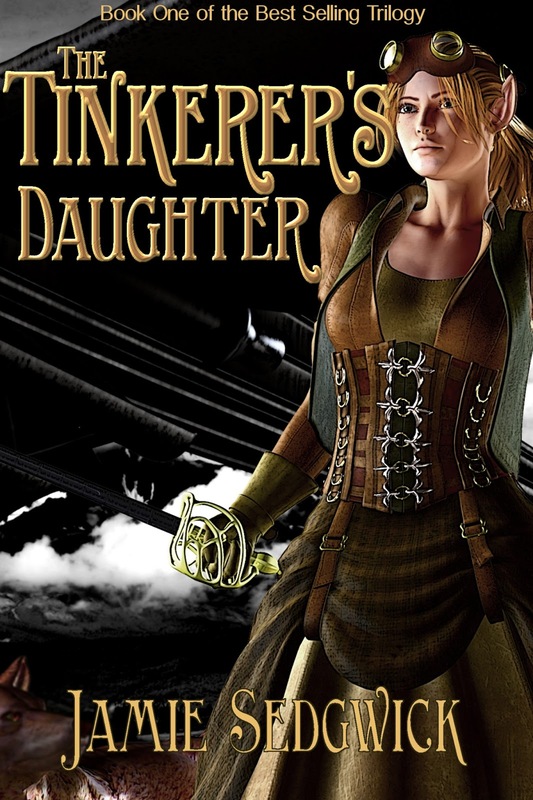 Has it really been almost 8 years since I first published The Tinkerer's Daughter? January, 2011 doesn't seem so long ago until I start thinking about all that has occurred since... Now, 8 years later, and after a long wait between sequels (I'm sorry!) the Iron Horse is finally about to make its last stop. Starfall is Book 5 of the series -and the conclusion of the entire epic storyline. It is available now! 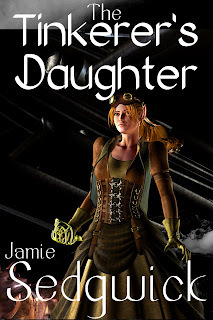 at an intro price of only $.99 US for the ebook. 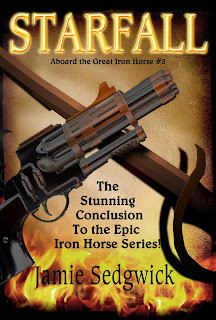 It's the end of the line for the Iron Horse! The unthinkable has happened. The Iron Horse is destroyed, the crew disbanded, and war is once again on the horizon. Refugees pour into Astatia and Danaise. Resources are running low. The armies of the Legion are gathering for battle. 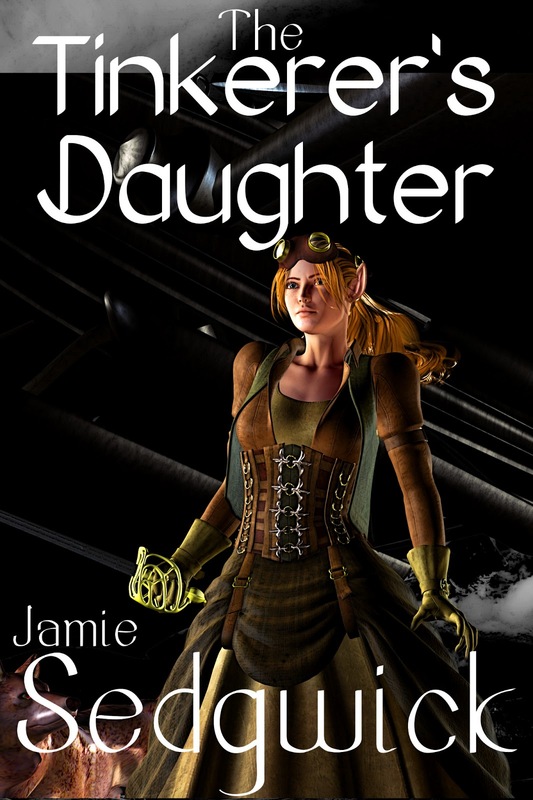 Kale and Shayla remain in Dragonwall, Kale sworn to wed Queen Aileen and take Dane’s place, while Shayla has survived an attempted murder only to find her life permanently changed. 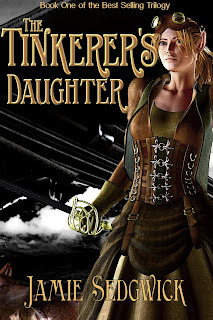 The future hangs in the balance, and everything just may rest on the shoulders of one small halfling named Micah. Is this the end for the crew, once and for all? Thankfully, Socrates has a plan. All that remains is to discover the Clockwork Legion’s weakness and exploit it. But will Socrates find the right strategy in time? Will he be able to convince the other civilizations to join and defeat this new enemy? Will Breeze and Tinker answer the call one last time, or is it already too late? Only one thing is certain: after this adventure, nothing will be the same. 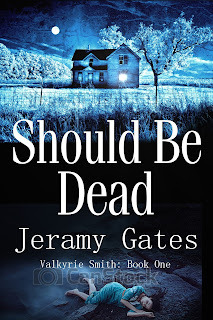 As noted, this is the final book in the series and the sales price is for my blog and newsletter subscribers. The price will go up in a few days! Once again, my apologies for the long wait. I've been working on my mystery novels and wrapping up the Hank Mossberg series over the last year-and-a-half, and I'm afraid I've neglected some of my most loyal readers. I hope this epic, thrill-a-minute novel will make up for the wait. That's it for now. Thank you all for your patience. Have a great Christmas and holiday season, and here's to a great new year! As a writer, I enjoy the luxury of taking time to form the jumble of thoughts that spill from my mind onto the page into something coherent -maybe even elegant, if I'm lucky. At first, I splatter words like paint-balls. I come back to massage and rearrange them in ways that will hopefully become something artistic, or at least comprehensible. Revise, revise, and revise again. I form these thoughts into sentences and paragraphs in solitude, trying to bring them as close as possible to perfection before I hit the "Publish" button. I do this mostly on my own schedule. I have all the time in the world to find the right words. Usually. Last month, I took a call from a relative I hadn't spoken to in a few years. He lives in the same small Montana town where I grew up. After a brief "Hello," he asked: "Are you somewhere safe? Can you sit down? I'm afraid this is one of those calls you never want to get..."
My mind whirled with horrifying possibilities, each worse than the last. None perhaps as bad as reality. In the moments that followed, I learned of the death of my thirteen-year-old nephew. Worse still, it was apparently a suicide. The worst possible thing in the worst possible way. Whatever I had been working on, I lost track of it. I couldn't think straight for days. My wife made quick arrangements, and we drove to Montana. My sister came along. Due to the length of the trip, we checked into a hotel at the halfway point, and did the same on the return drive. Due to the nature of the situation, we could only stay for two days. We spent four days on the road in order to spend two days with family. If it was like that for me, I can't even imagine how it felt to his parents. A few days later, I came back home to a mess. I'm still working on the addition on my house. I've had to pause construction several times, for various reasons. As usual, the more plans I make, the more things don't go according to plan. Work that I had expected to be done months ago (the roof!) is just getting done now. Other things (the engineering and permit for removing a wall -all scheduled for next year) are already done. In the midst of it, there came a few days of early rain at the beginning of October. The project will be okay, but water running through an open roof and walls is never good. So now it's autumn. The weather is cool and pleasant. Fallen leaves line the streets. I'm slowly coming to grips with the tragedy, and beginning to get my head straight. I have two books that need some work before I can publish, and a third that should have been finished by now, but I haven't really even started. I can't work on those though, because I must get this project buttoned up before the rain really starts. I have the siding on and painted, and I'm working on the roofing. Until that's done, my writing is in limbo. So please be patient with me, and say a prayer for my family. They need it. In the meanwhile, I hope you're all having a great autumn and remembering to savor every precious moment you have with people the you love. Tell them now while you have time to find the words.